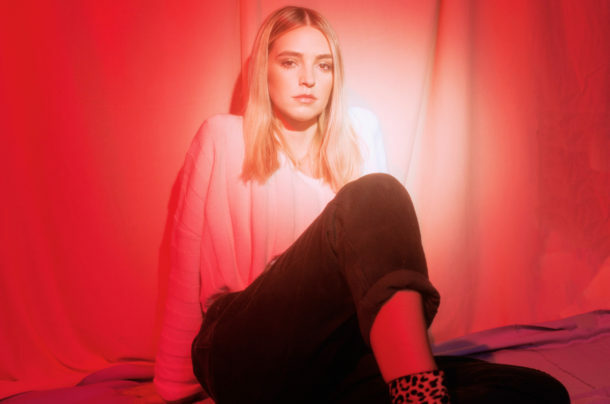 Katelyn Tarver has just released her EP “Kool Aid” and it’s absolutely incredible! Starting with “Labels”, the EP opens with this vibey track that swings smoothly as Katelyn’s mellow vocals drive the verse along. The chorus is effortlessly catchy, rising to an airy falsetto that immediately gets stuck in your head. What follows is the titular track “Kool Aid” that’s packed with awesomely distinct production and extremely well-crafted songwriting. This song stands out as proof that Katelyn Tarver has what it takes to be the next big name in pop as every element of this song comes together to create a fresh pop sound. “Never Fade” slows things down, opening with a swelling atmosphere that grows until it breaks, leaving just Katelyn and the piano. This is the kind of song that gets under your skin; it feels personal and heartfelt with each word ringing with relatable honesty. It builds with intensity both in the performance and the production, but it never goes over the top, instead it remains dynamic & impactful. This song is careful & sweet from start to finish. “LY4L” grows from where “Never Fade” leaves off, beginning soft, but with frantic and candid songwriting. Each section builds off the previous one, gaining momentum and energy before exploding into the chorus. It’s a rhythmic chorus full of hooky melodies that sail above the grooving production. It’s unique, yet carries a distinct pop sensibility that keeps you on your toes while grooving out. “Drown With You” starts with percussion before opening into a minimalistic verse that respects the space between each line. A vocoder accompanies Katelyn in the pre-chorus and it’s an awesome effect that helps build towards the plaintive chorus. Throughout this EP Katelyn Tarver delivers choruses with melodies that are instantly memorable while feeling fresh and “Drown With You” does this effortlessly! The final track “Don’t Let It Change You” strips everything away so that once again it’s just Katelyn and the piano, sharing a vulnerable story that feels real and candid. Each line is delivered with a feeling of regret or melancholy and it’s sure to resonate with anyone who has been in that same place. “Don’t Let It Change You” is a powerful and unexpected way of concluding an incredible pop album, but in a lot of ways this ending focuses on what makes each song on this EP so great to listen to: Katelyn’s unwavering honesty. 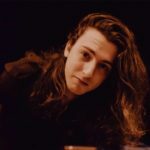 Each song is either heartfelt or delivered with a point-blank frankness so that, as a listener, gives you the sense these songs come from a real place that everyone can connect with. Even when Katelyn goes full-pop or completely acoustic this honesty rings through and it’s really impressive how that thread ties the whole EP together. I have no doubt “Kool Aid” will be a big record for Katelyn Tarver and I can’t wait to see what happens next for her!